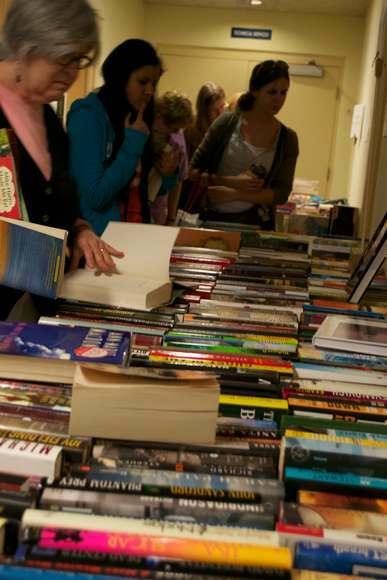 The semi-annual Friends of the Library Giant Book Sale takes place this weekend at the Peterborough Public Library. People were already finding lots of deals this afternoon, toting their overflowing bags in search of the next gem. The sale will continue Saturday from 10 a.m. to 3 p.m.